We’ve now traversed the northern side of Number 10 Exhauster and have reached the eastern end of the building. The switchgear room lies to our left with the control room above it. 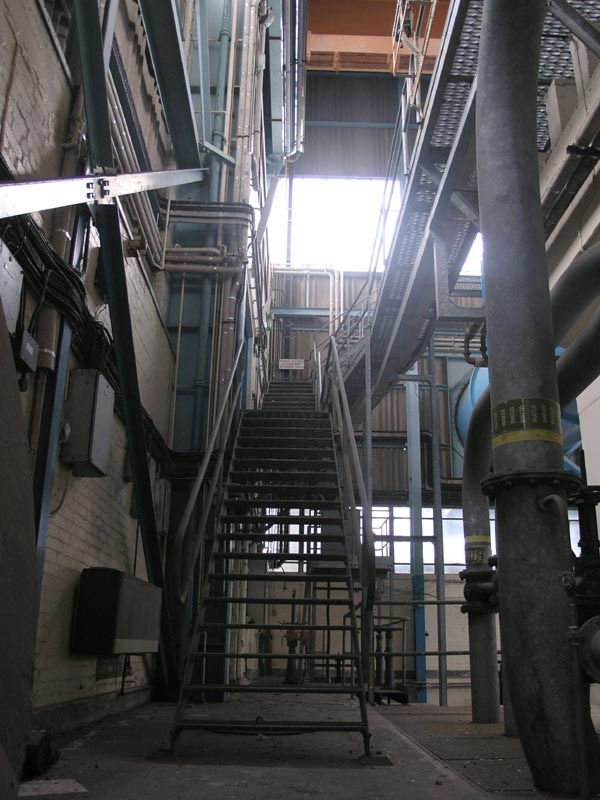 The stairs lead up to the control room where a spur leads across to the top of the turbine plinth. The stairs then turn right and continue up the eastern side of the building. Looking eastwards at the stairs to the higher levels.